Welcome to the Yokohama Beer Magazine! Why beer? Why Yokohama? Why this magazine? Beer is the world's most consumed alcoholic beverage. In fact, it's the third most consumed beverage after water and tea. Experts have said it is responsible for the rise of civilizations. It's certainly been an important industry in many cultures for hundreds of years. We just know that it's good! It often enhances entertainment and an array of social settings, beyond its delicious taste. Besides being Japan's largest city, Yokohama is also quite possibly Beer City Japan. It's home to Japan's first commercial brewery, known today as Kirin. It also boasts several popular craft breweries—small-scale operations brewing specialty beers. 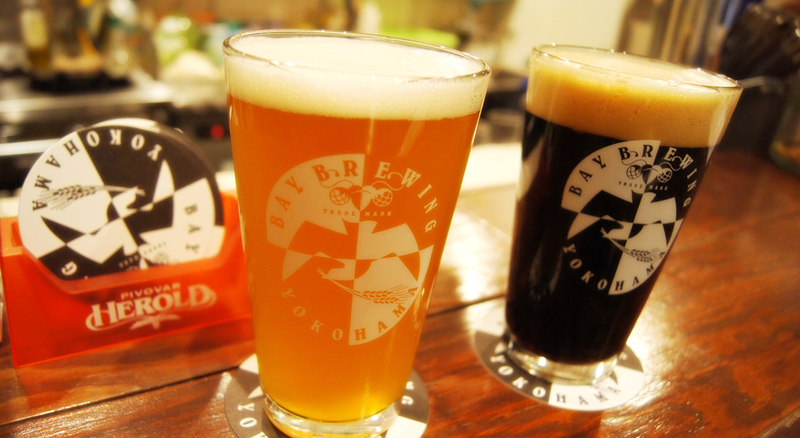 And the central area of Yokohama has a high concentration of unique beer bars and restaurants serving these specialty beers. It's a beer lover's paradise in Japan. This magazine is a guide to that beer paradise. But Yokohama of course offers so much more than beer, so we've thrown in other recommendations for nightlife and entertainment. We personally believe Yokohama is one of the best, most livable cities in Japan. It has everything a big city could offer, with a small-town atmosphere. There's space, quiet and unique character. Why not come out and spend some time with the friendly people of this beautiful city on the sea?